“Lord BrahmA replied, ‘My dear son Narada, for the benefit of all humanity I shall happily tell you everything you wish to know, for just hearing the glories of the KAmikA EkAdasii bestows merit equal to that obtained by one who performs a horse sacrifice. Certainly, great merit is attained by one who worships, and who also meditates on the lotus feet of the four-armed Lord GadAdhara, who holds conchshell, disc, club and lotus in His hands and who is also known as Shridhara, Hari, Vishnu, Madhava, and MadhusUdana. 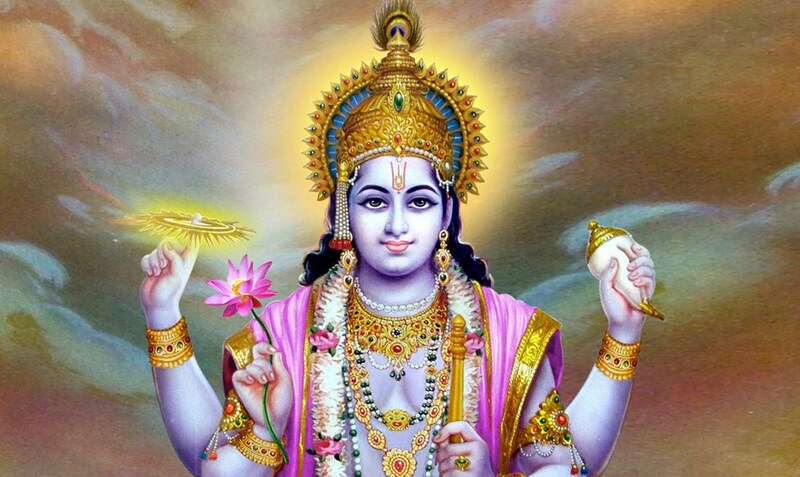 And the blessings achieved by such a person / devotee, who worships Lord Vishnu exclusively are far greater than those achieved by one who takes a sacred bath in the Ganges at KAshi (VarANasii), in the forest of NaimishAraNya, or at Pushkara, which is the only place on the planet where I am formally worshipped. But one who observes this KAmikA EkAdasii and also worships Lord Shri Krishna achieves greater merit than one who has darshana of Lord KedAranAtha in the HimAlayas, or one who bathes at Kurukshetra during a solar eclipse, or one who donates the whole Earth in charity, including its forests and oceans, or one who bathes in the GaNDaki River (where the sacred Shaligrams are found) or the GodAvari River on a full moon (purnima) day that falls on a Monday when Leo (Simha) and Jupiter (Guru) are conjoined (conjunct). “ ’Observing KAmikA EkAdasii bestows the same merit as donating a milk-cow and her auspicious calf, along with their feed. On this all auspicious day, whosoever worships Lord Sri Shridhara-deva, Vishnu, is glorified by all the devas, Gandharvas, Pannagas, and NAgas. “ ‘Anyone who fasts on this particular day remains awake throughout the night will never experience the anger of YamarAja, the king of death personified. It has been seen that whoever observes KAmikA EkAdasii will not have to suffer future births, and in the past too, many Yogis of devotion who fasted on this day went to the spiritual world. One should therefore follow in their auspicious footsteps and strictly observe a fast on this most auspicious of EkAdasiis. “ ‘Whosoever worships Lord Shri Hari with Tulasi leaves is freed from all implication of sin. Indeed, he lives untouched by sin, as the lotus leaf, although in the water, is untouched by it. Whosoever offers Lord Shri Hari but a single leaf from the sacred Tulasi tree (occillium basilcum sanctum) attains as much merit as one who gives away in charity two hundred grams of gold and eight hundred grams of silver. The Supreme Personality of Godhead is more pleased by one who offers Him a single Tulasi leaf than by one who worships Him with pearls, rubies, topaz, diamonds, lapis lazuli, sapphires, gomedA stones (gomaz), cat’s eye gems, and coral. One who offers Lord Keshava newly grown maNjari buds from the Tulasi plant gets rid of all the sins he has committed during this or any other lifetime. Indeed, mere darshana of Tulasi on KAmikA EkAdasii removes all sins, and merely touching her and praying to her removes all kinds of disease. One who waters Tulasi devi need never fear the Lord of death, YamarAja. One who plants or transplants Tulasi on this days will eventually reside with Lord Shri Krishna in His own abode. To Srimati Tulasi devi, who awards liberation in devotional service, one should therefore daily offer one’s full obeisances. “ ‘Even Chitragupta, YamarAja’s secretary, cannot calculate the merit obtained by one who offers Shrimati Tulasi-devi a perpetually burning ghee lamp. So dear is this sacred EkAdasii to the Supreme Personality of Godhead that all the forefathers of one who offers a bright ghee lamp to Lord Shri Krishna on this day ascend to the heavenly planets and drink the celestial nectar there. 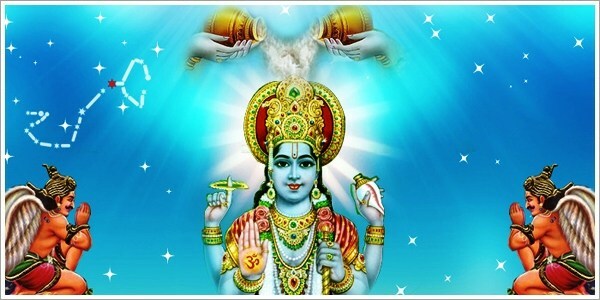 Whoever offers a ghee or sesame oil lamp to Shri Krishna on this day is freed from all his sins and enters the abode of Surya, the Sun-god, with a body as bright as ten million lamps. This EkAdasii is so powerful that if one who is unable to fast simply follows the practices as mentioned herein, s/he is elevated to the heavenly planets, along with all their forefathers. “ ‘Oh Maharaj Yudhisthira,” Lord Shri Krishna concluded, “…these were the words of prajapathi BrahmA to his son Narada Muni concerning the incalculable glories of this KAmikA EkAdasii, which removes all sins. This sacred day nullifies even the sin of killing a brAhmaNa or the sin of killing an unborn child in the womb, and it promotes one to the spiritual world by making one supremely meritorious. One who kills the innocent, i.e., a brahmin (brAhmaNa), a child in the womb, a pious and spotless woman, etc., and then later hears about the glories of KAmikA EkAdasii will be relieved of the reaction to one’s sins. However, one should NOT think beforehand that one can kill a Brahmin or other innocent folk and then go unpunished simply by hearing of this EkAdasii. Such knowing commission of sin is an abomination. 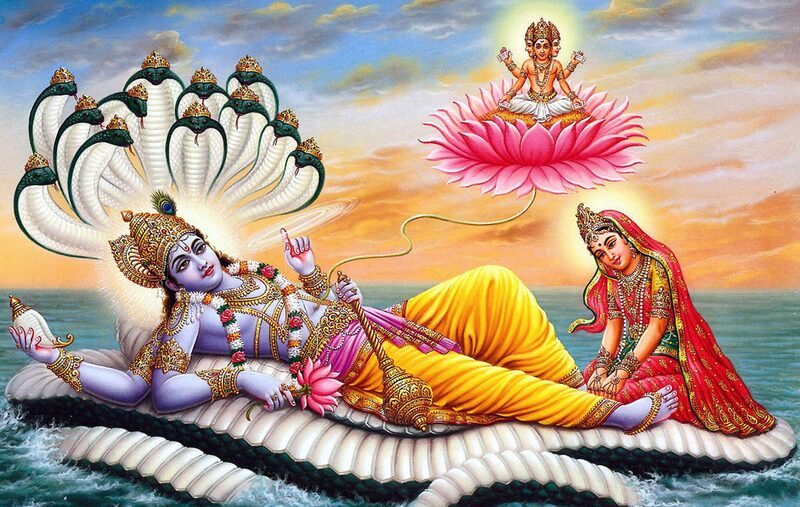 Whosoever hears these glories of the KAmikA EkAdasii with faith becomes free of all sins and returns home, back to Godhead – Vishnu-loka, Vaikuntha.